jewelry appraisal - what is your jewelry worth? Jewelry, particularly antique jewelry, is often a most treasured possession. This can be for many reasons, perhaps because of its sentimental value or a family connection, or because of it's value as an investment. 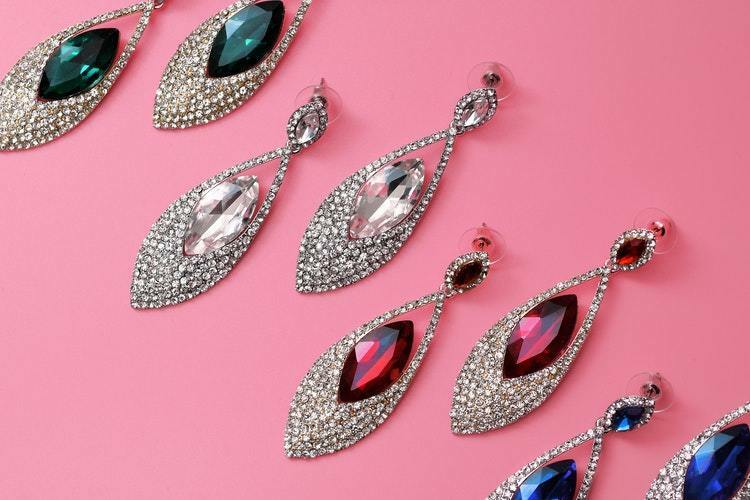 Collecting rare and one-of-a-kind jewelry is like collecting works of art. Precious metals and gemstones are a very tangible and portable asset that usually tend to hold their value - or appreciate in value - over time. Most experts agree that jewelry is a longterm investment and that a trained eye is required to make the right purchasing decisions. Some degree of experience is needed to determine jewelry's value, based on the current trends and taking recent fluctuations of the market into consideration. Whether you have a designer costume bangle, fine earrings, ring or necklace, or a brooch that you know nothing about from your grandmother's jewelry box, Mearto's jewelry experts can determine the fair market value of your piece, based on the reasonable price you could expect to receive at an auction sale. All you have to do is answer a few simple questions about your jewelry, send us some detailed photographs of the piece you would like us to appraise on a neutral background and provide as much information as you can about it's condition and provenance, or ownership history. We take care of the rest and provide you with an online appraisal within 24-48 hours. We also work closely with the world's leading auction houses, including several that specialize in the sale of antique, fine and designer jewelry. If you would like to sell your jewelry, we can connect you with these auction houses and provide valuable advice and guidance throughout the consignment process. Click the "Start Appraisal" button below to get started! Do you need an online jewelry appraisal? Look no further. We charge $17 to provide a fair market value for one piece of jewelry in 48 hours. If you need the appraisal faster, we can also provide it in 24 hours for $25. Our experts are professional jewelry specialists with years of auction house experience. We also provide a comprehensive directory of jewelry appraisers near you. Unfortunately, there is no simple answer to this question. It really depends on the piece. Diamonds, particularly modern diamond engagement and wedding rings, do tend to be worth far less than their original purchase price. 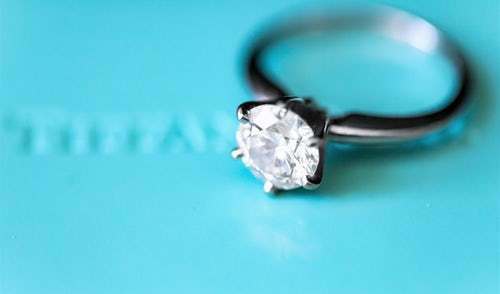 However, vintage diamond rings, particularly those from the Victorian and Art Deco eras, can actually increase in value over time. Gold is generally thought to be a good investment for portfolio diversification because it holds its value throughout times of political and economic hardship. It's also one of the few assets that can keep up with inflation and the rises in the cost of living. However, gold jewelry isn't necessarily a good investment because it loses value when it is melted to be more easily sold. The best way to ensure that your jewelry appreciates or increases its value over time is to invest in unique pieces from interesting periods in history and well-respected designer brands. Our experts take many factors into consideration when they appraise jewelry. The weight of precious metals and stones, as well as cut, color and clarity of the stones, are all very important in determining the value of a piece. However, it's also important to compare it to similar pieces that have recently sold at auction. This allows the appraiser to also take the current taste and demand into account. A unique or interesting history may also increase jewelry's value, so it's important to share these details with our experts when you submit your piece for appraisal. Where can I sell my jewelry? Depending on the quality and value of your piece, there are a number of options. The highest prices are typically paid at auction. The current record is held by the Pink Star diamond, which was sold by Sotheby's in 2013 for more than $83 million. However, the buyer defaulted, so the piece went back into Sotheby's inventory. The esteemed auction house sold it again in 2017 for $71.2 million. Another pink diamond, known as the Graff Pink, was auctioned by Sotheby's in 2010 for $46.2 million. This almost 25-karat ring once belonged to Harry Winston. Regardless of your jewelry's value or history, we are happy to provide resources and support to help you sell your piece. When weighing the ring as a whole the measurements are 4.5 g, 0.14 ozt, 2.9 dwt,22.5 ct, 0.16 oz., 70 gn the ring size is 7. Ring has tested that the diamonds are white and green diamonds on the ring. Vintage drinking mug made from Jade. 5 in. Height, weight approx 4 to 5 lbs. The silver cross is 20mm tall by 15mm across. It looks to have been hand made. There are 6 stones that form the cross, we don’t know if they are diamonds or zirconia’s, that’s why we need your help. This is a Strell (marked on inside of band) 14 KT yellow gold ring. I'm not sure what the stone is...could it be a fire opal? The total weight of the ring is 6.8 grams and it is probably a size 10. I'm not sure what year it was purchased...probably at least 30+ years old. One side of the setting has a flower with a diamond in the center and the other side has a figure of a woman holding up the larger colored stone.